Our series of Messaging Apps & Brands elaborates on the unique business opportunities of messaging apps for companies. The last article we published was about LINE Messenger. 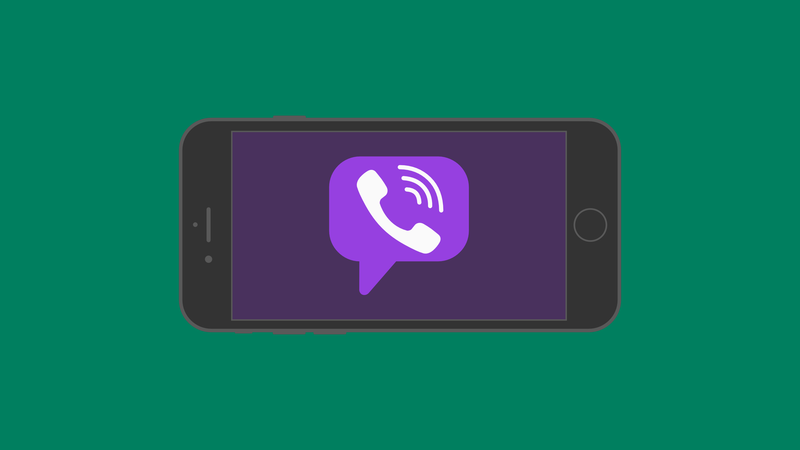 Today we’re looking at Viber Messenger, the purple Messaging App from Israel. Viber was launched in 2010. The company Viber Media, which was founded in Tel Aviv, has been around since 1998. 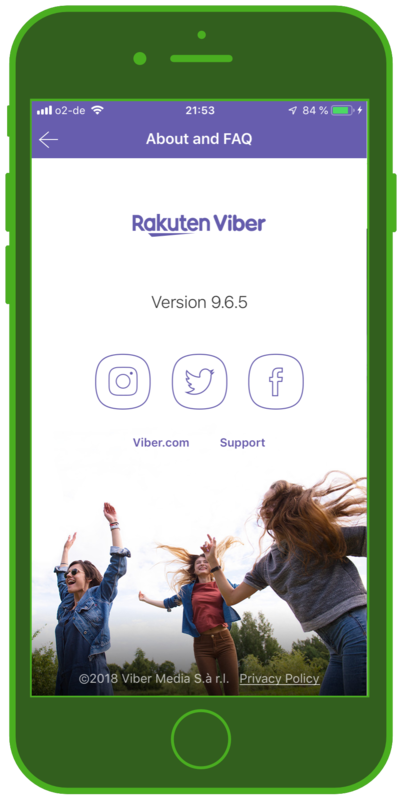 As of 2017, Viber is officially called Rakuten Viber: in 2014, the Japanese e-commerce conglomerate took a majority holding in Viber Media. 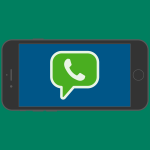 The Messaging App or Chat App can be used via mobile (iOS & Android) as well as via desktop, and generally offers the same features that we have already discussed in the article about LINE – these functions are very similar to what the “big three” (WhatsApp, Facebook Messenger and WeChat) offer. 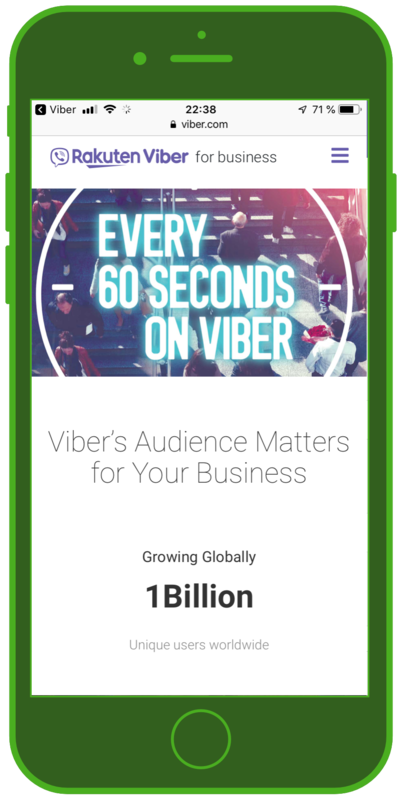 Viber counts 1.03 billion registered users (as of 2018) as well as 260 million monthly active users (as of 2018). This makes Viber Messenger the 6th in the top 9 Messaging Apps / Chat Apps worldwide (not including Apple’s iMessage) by monthly active users (as of 2018). In comparison: WhatsApp alone has over 1.5 billion monthly active users globally. Compared to LINE, Viber mostly banks its success on the core functionality of a communication app: the chat feature. However, Viber also supplements the dialogue with additional features. 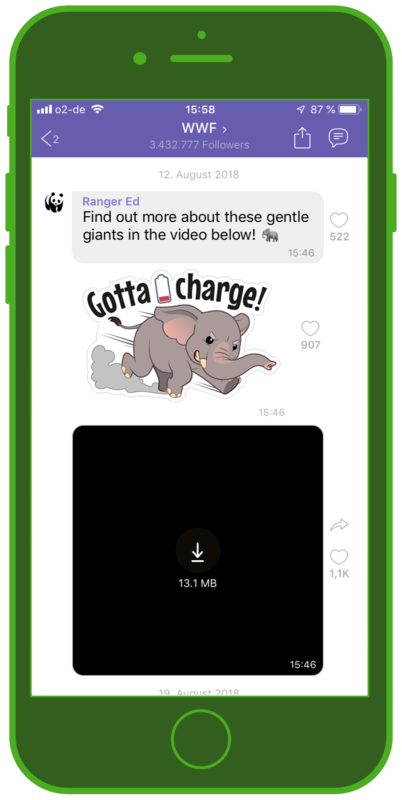 Next to the basics (sending texts, videos and fotos) it also supports audio and video calls via VoIP (Viber Out), stickers and GIFs, communities, instant voice and video, chat extensions, the possibility to delete already-seen messages, and a multi-platform approach (synchronisation of video calls via desktop). As was mentioned at the beginning of the article, in 2014 Rakuten bougt Viber for 900 million Dollars. 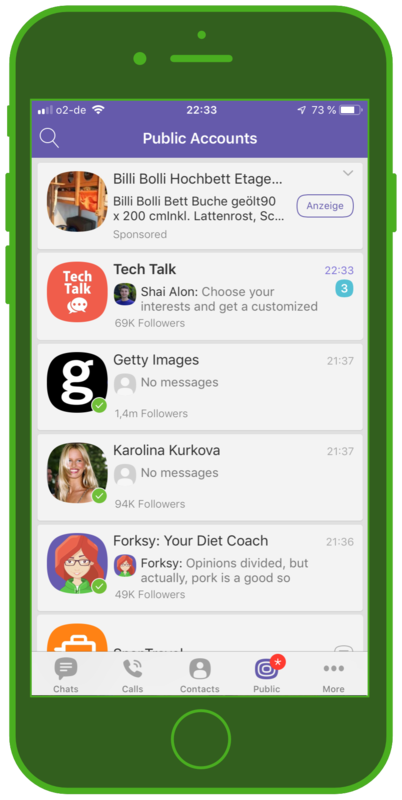 Viber is extremely popular in particular in Eastern Europe and Russia. In Russia, Viber counted 100 million users as of 2018, and has overtaken WhatsApp. 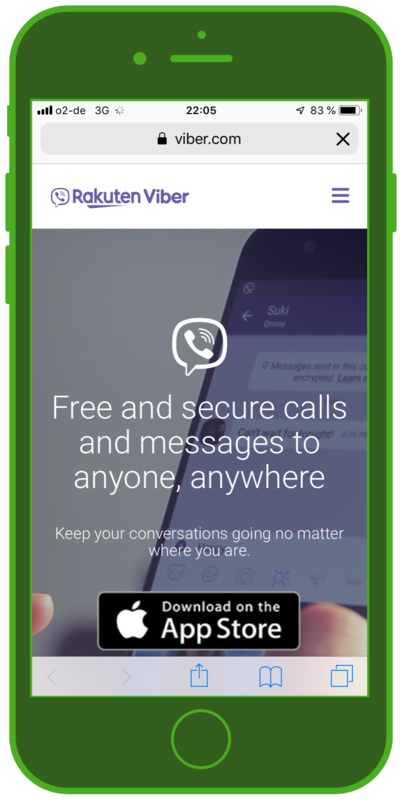 Already in 2016, Viber anounced business solutions for companies. 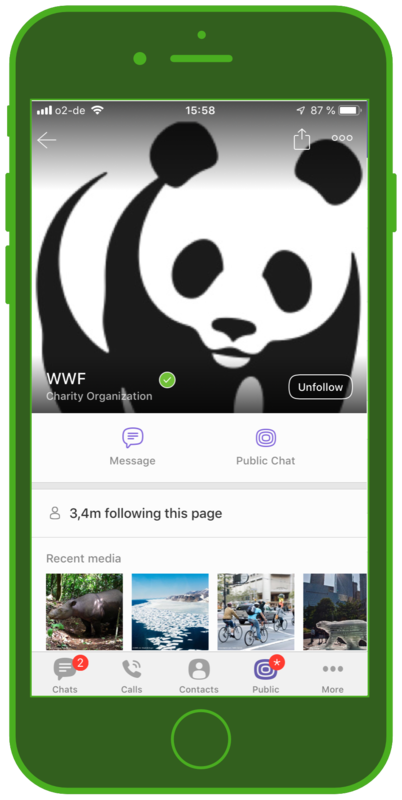 Similar to LINE, the purple messaging app also offers so-called public accounts, which can be used by brands, clubs or groups, and are similar to Facebook pages. 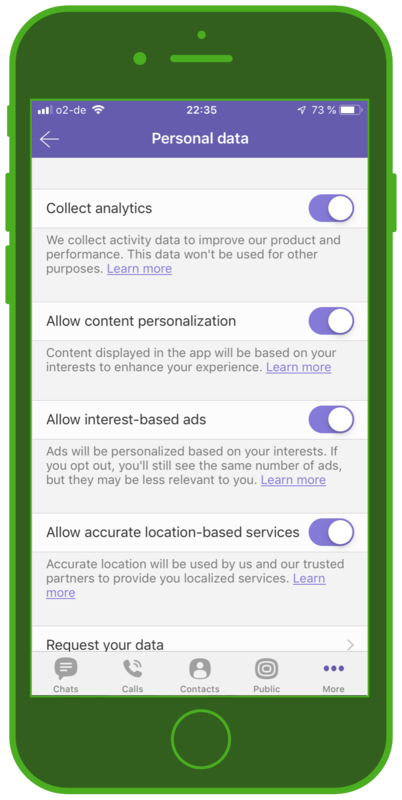 The most prominent features are ads, communities, promotional stickers, e-commerce opportunities, business messages and Viber Out Resellers. 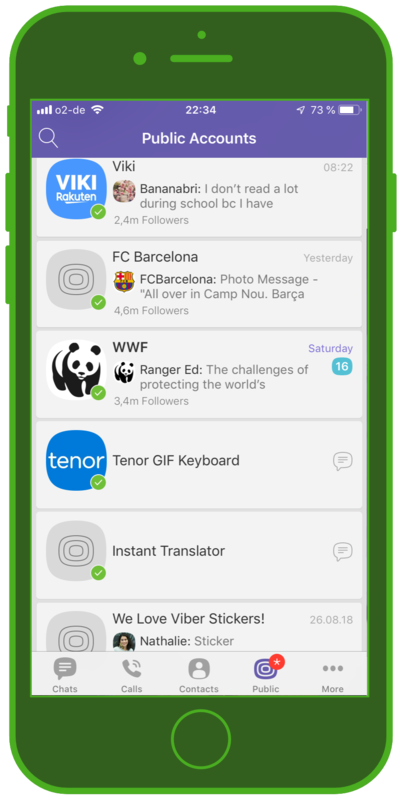 On a global scale, it’s hard for a messaging app like Viber to compete with the big players around the world like WhatsApp and Facebook Messenger. It’s not that the European sticker taste seems to be different (as analysts say about LINE) – no – the reason is more bound to the rapid pace with which WhatsApp & Co. has spread in the Western market and assumed their leading position. However, the global market for messaging apps is fragmented by “local heroes” such as LINE, Viber etc. which are the leading messaging app providers in single countries. 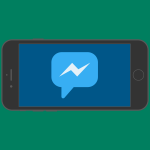 To learn more about the messaging app market, we recommend our article about the global usage numbers and messenger penetration. 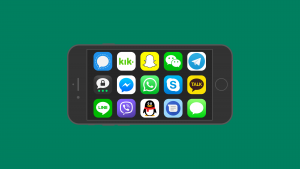 Get an overview of the messaging apps we have already discussed: Messaging Apps and Business: Overview of the most important Messaging Apps worldwide!